The Dobongsan Transfer Center Car Park was initially planned by the Municipal Government of Seoul, as the part of a new traffic system at the boundary of the two metropolitan cities Seoul and Uijeongbu. Also, the client, Seoul Metropolitan Infrastructure Headquarters, wished to include public amenities such as a caféand a lounge. This programmatic directive allowed the typical parking building to be reimagined. 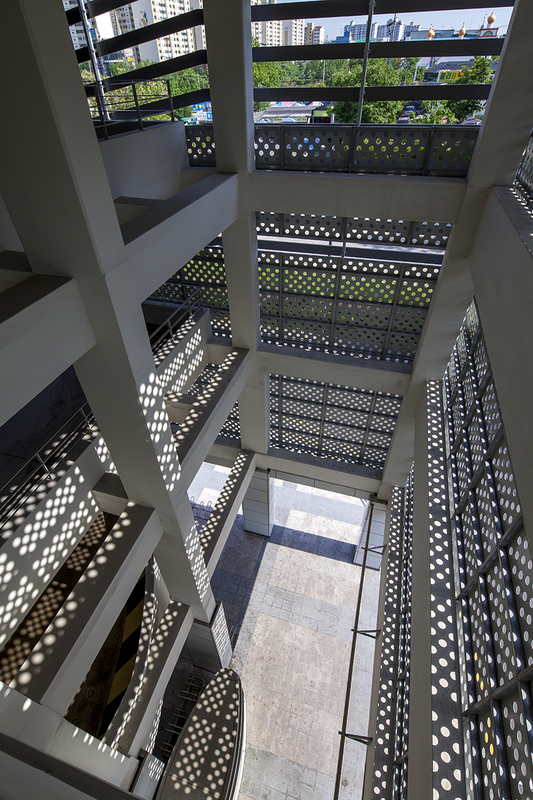 The car park is no longer only a structure for connecting commuters to transportation, it is also a place for connecting people to the each other and their urban environment. 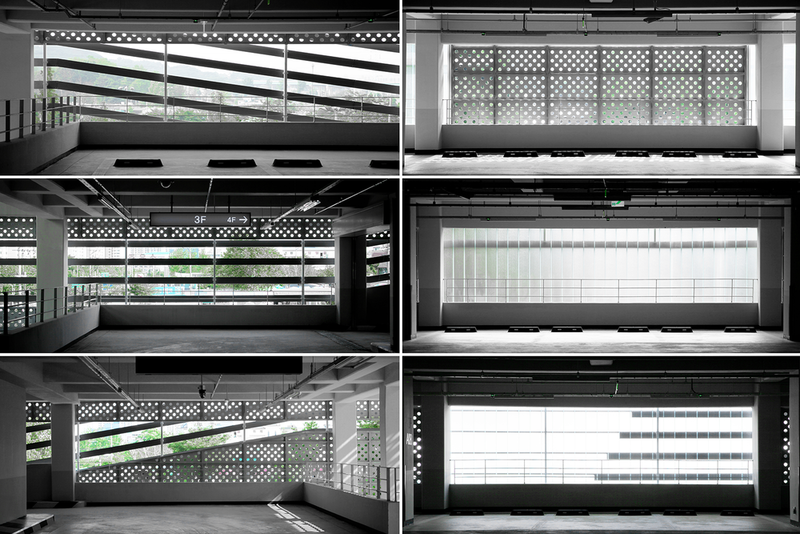 In this project, reinventing the parking structure began by rethinking the performance of the building envelope. 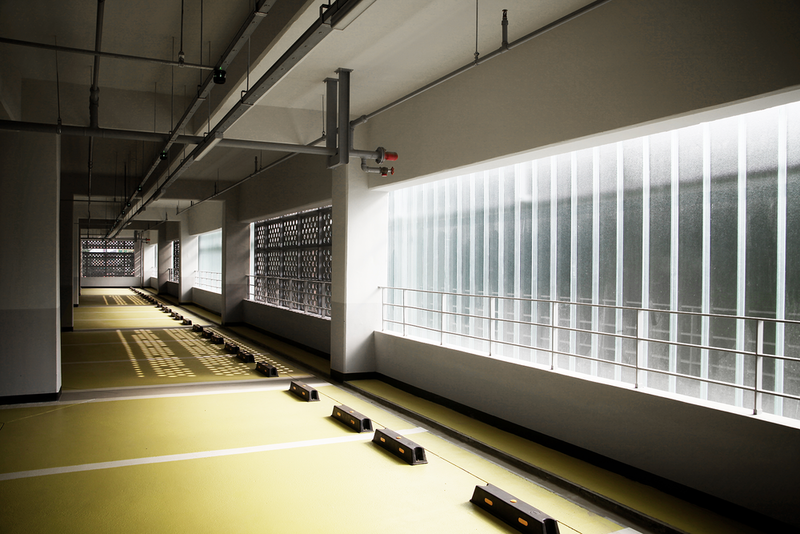 Taking into account one of the primary problems with a typical parking structure--the dominance imposed by a large volume--the Dobongsan Transfer Center Car Park proposes a building envelope with a series of separated bands. The façade divided by bands creates a visual language that relates to the urban context rather than dominates it. 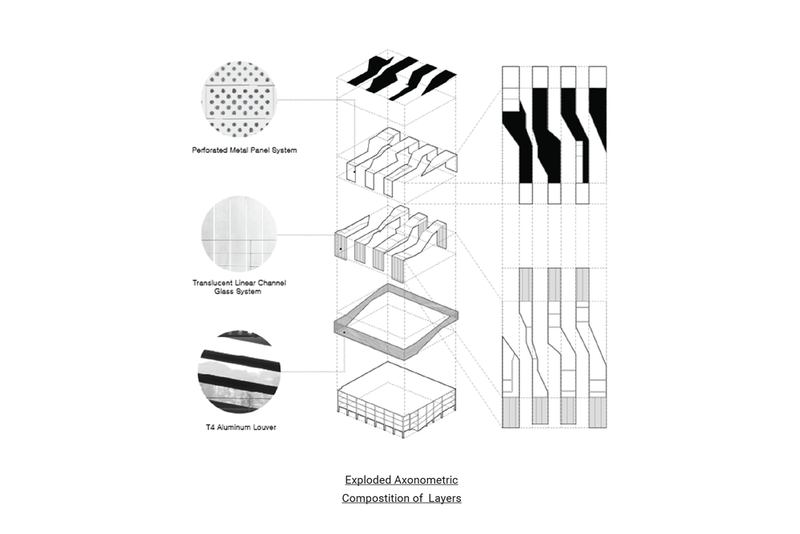 The seven bands of the envelope are comprised of three permeable materials: translucent glass channel, perforated metal sheets, and metal louvers. These three materials are selected for their environmental performance with regard to natural ventilation and sunlight penetration. 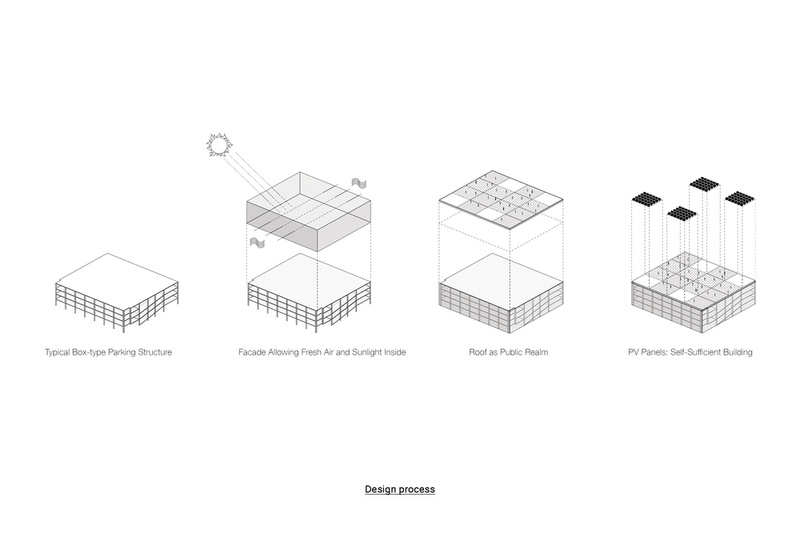 The main concept of the project, a parking structure as public space, is realized on the rooftop. Here the bands of the facade are manipulated to form an artificial landscape that creates a public garden and plaza. The artificial topography created by the sloped roofs proposes a visual and experiential dialogue with the surrounding landscape of the Dobongsan Mountain. 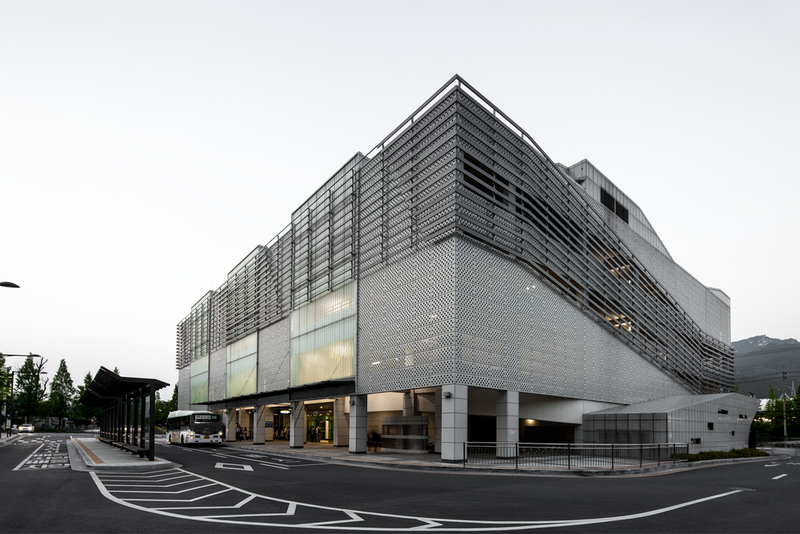 The project successfully showcases a new type of a parking structure. It proves that a parking building can be more than a storage container for vehicles, it can also be a place for community and new encounters.